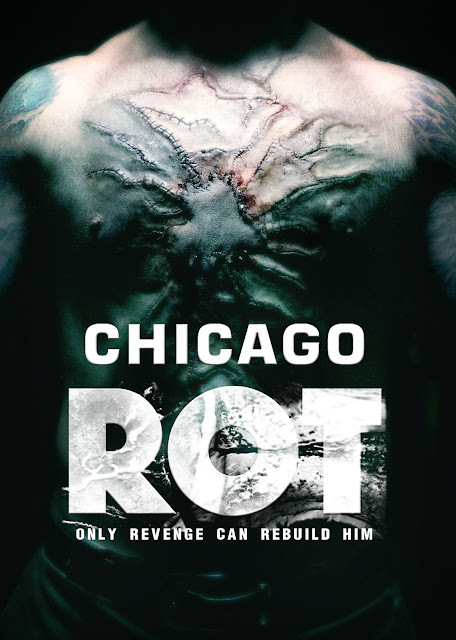 Brain Damage Films presents the release of the horror/sci-fi CHICAGO ROT on 4th April 2017. A DVD will be available on Amazon MOD. 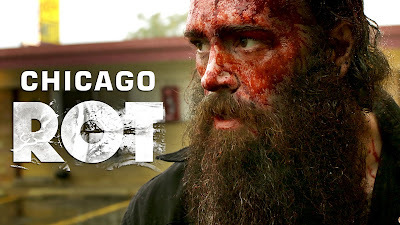 CHICAGO ROT can also be found on most VOD platforms including: Amazon, Itunes, Google Play, Vimeo, Xbox, Flix Fling, Vudu, Youtube, and Cable VOD. After years of rotting in Joliet, Les, a wrongfully imprisoned street legend known as "The Ghoul," is released into a mad search through Chicago's back alleys for the man who slaughtered his mother and robbed him of his soul. Aided by enigmatic benefactors, he must delve beneath the city into a modern labyrinth of gutters whose tendrils have grown deep while he was gone.What unfolds is a desperate tale of brute force tragedy set in the supernatural underworld of Chicago, where heroes are reduced to horror-shows, villains dream of their own demise, and good and evil prove to be complicated concepts.